Home » Weight Loss » Qurb PM Review: Beware Of These Kinds Of Miracle Supplements! Qurb PM seems to be one of those magnificent products that promise a lot. In terms of weight loss and relaxation, Qurb PM is not shying away from bragging about its effects. But, what does it really have to offer? Is everything that spectacular about it? Let's find out! Check Out Bloodshr3d War Edition Instead! Weight problems are something many of us are having troubles with. Because of it most of the dietary supplements are aimed towards people trying to lose few extra pounds. However, a big portion of those products and the companies building them are investing more money into the commercial side of the product rather than the ingredients itself. In this review, we are putting Qurb PM to a test, and checking out is it any good. It is a weight management shot designed to regulate appetite and lose fat. Qurb PM also claims to have an effect on the mood, enabling you to relax after a stressful day. It is time to jump right into it and see what can you expect in terms of results and possible side effects. Unluckily it is lacking a good amount of customers feedback, something we are always looking for while doing a research. Qurb PM ingredients – What do we know about them? Looking at the ingredient list we don't see anything special and miraculous. It is a blend of few vitamins and nutrients which are good but won't provide results some are hoping for. It is a mixture of vitamins B6, B5, B3 and B12. Such a combination will provide a significant improvement in overall health and longevity, although it could feature few other types of vitamins as well. This chemical compound is often used as a nutritional supplement or for treating unwanted conditions. People use it to control blood sugar and lower cholesterol, however chromium picolinate has no clinical studies backing its benefits and efficiency. Potassium is extremely beneficial and it is advised to eat food that is rich in it. Having low amounts of it in your system can even cause some troubles like severe headaches or heart palpitations. It can boost nervous system, maintain optimal muscle function, prevents cramps, improves brain function, and much more, but there is a problem. Qurb PM contains only 7 mg which is more than nothing, but incapable of making a real difference. Green Coffee Beans are coffee seeds that haven't been roasted, keeping more health benefits. Such an extract is becoming more and more popular in the world of dietary supplementation today. Many people claim it has helped them lose significant amounts of weight in a relatively short period of time. Just like Green Coffee Bean extract, theanine is becoming more and more popular every single year. This amino acid is found in green tea and has found multiple uses. It is believed theanine promotes relaxation and positive thinking, reducing levels of stress and anxiety. Idea of a product like Qurb PM may seem brilliant and creative at first, but when you dig deeper it suddenly becomes less spectacular and falls under the shadow of more traditional weight loss products. If you are trying to change your body on a long term basis best way for doing so is working out and taking control of your diet, instead of taking nighttime formulas and waiting for a change to come. From that point of view, there are definitely much better options while trying to find a high-quality weight loss supplement. One of those options is Bloodshr3d War by Olympus Labs, a fat burner which will appreciate your effort and make every single workout worth doing. Is it a risk to take? If you decide to try it out you shouldn't worry too much about its side effects. 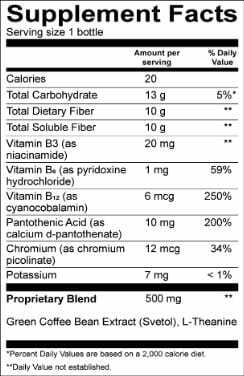 Ingredients found in the formula are pretty safe and shouldn't put you in any trouble. However, you are not completely safe as there is a small risk you could experience side effects like nausea or insomnia. How did other users feel about it? Qurb Pm is something new and different, and that is something we appreciate it for. When it comes to actual results, there are much better options. Qurb PM treats your carvings before bed time, which is nice, but not a permanent solution for losing weight. We consider Bloodshr3d War Edition by Olympus Labs better alternative for anyone wanting to make long-term results and change their physique forever. A chemical compound often used as a dietary supplement. Many believe it is very beneficial, and because of it picolinate is used for various reasons. People mostly use it to control blood sugar and lower cholesterol. Unfortunately, there is very little to almost no scientific proof to its benefits. Potassium is a chemical element with countless positive effects on human body. It is good for fighting stress, boosting metabolism, improving bone health, and much more. Coffee seeds that haven't been roasted. It is an amino acid found in green tea. Theanine is mostly used for promoting relaxation and positive thinking, reducing levels of stress and anxiety. It is a feeling of discomfort keeping you awake at night making it extremely hard to fall asleep and rest. Chromium picolinate can cause this side effect. It can be described as a feeling of pain and discomfort in stomach area often resulting in an urge to vomit. Few compounds in the mixture are capable of creating this side effect. How much does Qurb PM cost? The average price of Qurb PM is somewhere around $30. Keep in mind that shipping fees aren't included in the base price. It seems as though its formula is not that effective with everyone. Some people claim it works to a certain degree while others aren't really satisfied with the effects they've been getting. Stay on the safe side and spend your money on something that's worth it! When it comes to alternatives, Olympus Labs has a great supplement that could actually help you lose a couple of extra pounds. It is called Bloodshr3d War Edition and you should definitely check it out! What's Up Energy Drink Review: Upper Or Downer?